Home / Huntcliff goes to Oxford! 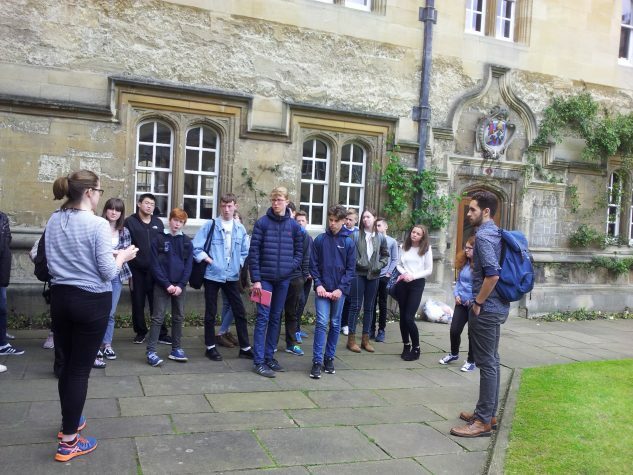 A group of high achieving Year 11 students from Huntcliff School visited Oxford University recently as part of the Pathways Programme, designed to encourage very able students to consider attending Oxford. The visit was organised by Prior Pursglove College, and as a precursor to the trip, students and parents – along with others from the Redcar & Cleveland area – attended an information session delivered by their Oxbridge link Olivia Wytcherley. On the day itself, Thursday 4th May, students and staff had an exceptionally early start with the coach leaving at 5am; once there they attended sessions including ‘Why go to University and why to Oxford’ and ‘Graduate Employment’, and three mini lectures were delivered by current PhD undergraduates. 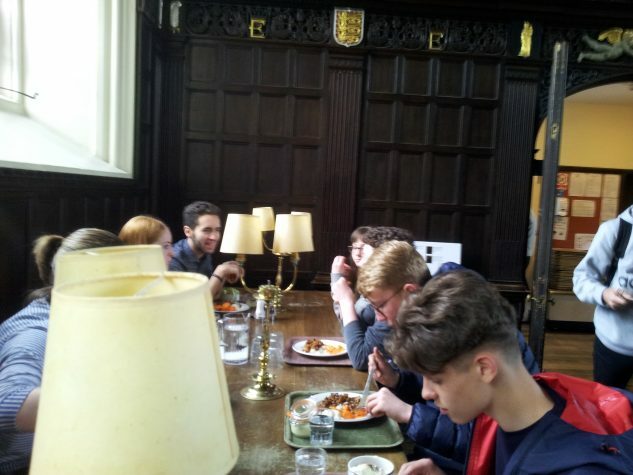 The group had a tour of the Oxford colleges and were able to eat an excellent lunch in the beautiful dining hall of St Hugh’s College. Film crews were much in evidence as many movies and TV programmes use Oxford as a location. The long journey back was enlivened for some ardent fans by pulling up alongside the tour bus of the band, Iron Maiden, who were currently on tour. It was a wonderful opportunity for the young people to experience such a prestigious organisation and raise their aspirations as well as their self-confidence. Students from Huntcliff who attended were Rebecca Braund, Callum Handley, Jake Lefevre, Charlie Roberts and Harry Watson; lead by Mrs Major, Transition Mentor.